Just wanted to say a huge thank you to everyone who's taken part in the discussions on the BBC Strictly Come Dancing News Blog in 2010. Not only have we had been able to host some fascinating discussions and debates between the public on all sorts of topics (most notably a certain ex-MP! ), we've also turned in the space of just four months into the most visited, read and used blog on the entire BBC website! So well done all of you! We're closing the News Blog at midday on Wednesday 22nd December - although you'll be able to read all of the posts that have already been made. And although this is the end for the News Blog for this year, don't forget the Strictly Come Dancing Christmas Special, which will be broadcast on the big day itself, 25th December, at 7pm. So that's it. We really hope you've enjoyed this series of Strictly Come Dancing - we've certainly had a brilliant time bringing you all the latest news, info and backstage gossip. So from me and the rest of the Strictly website team - Andrew, Gemma, Emily and Kirstie - we all hope you have a brilliant Christmas and a fantastic New Year in 2011. Roll on Series 9! So that's it! After an amazing 12 weeks of live shows, we finally have our winning couple. 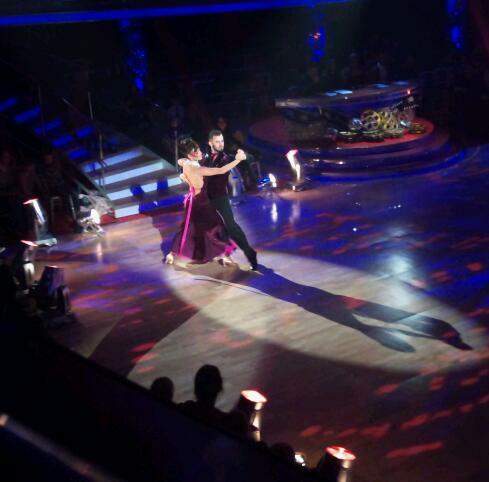 Kara and Artem took the crown tonight after wowing judges and viewers alike with a total of four stunning dances. We were on the dancefloor when the announcement was made and caught up with a host of Strictly faces to get their reactions to tonight's results. Watch our exclusive video and let us know your thoughts by leaving a comment below. 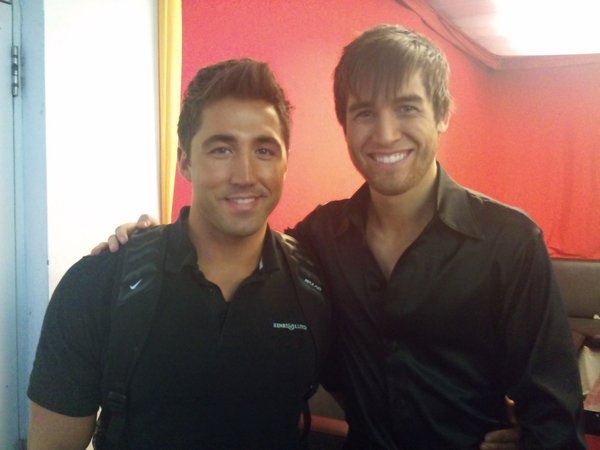 Over three months of training, countless performances and thousands of sequins and here we are - the Strictly Come Dancing live final, 2010. 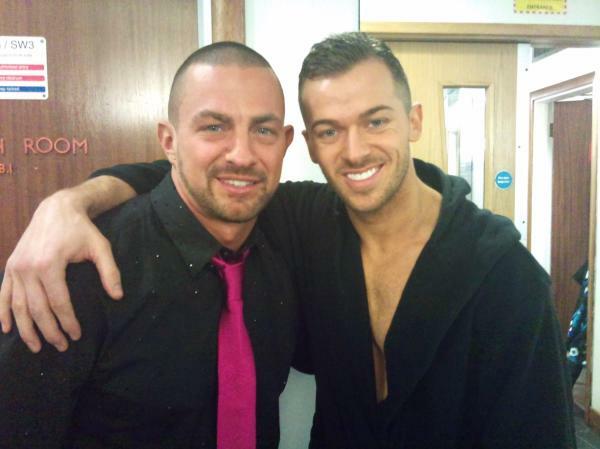 Kara and Artem, Matt and Aliona and Pamela and James have seen off eleven competing couples over the past eleven weekends and tonight the pressure is well and truly on. Who will be crowned this year's Strictly champions? If you're watching, why not share your thoughts with the rest of the nation by leaving a comment below. 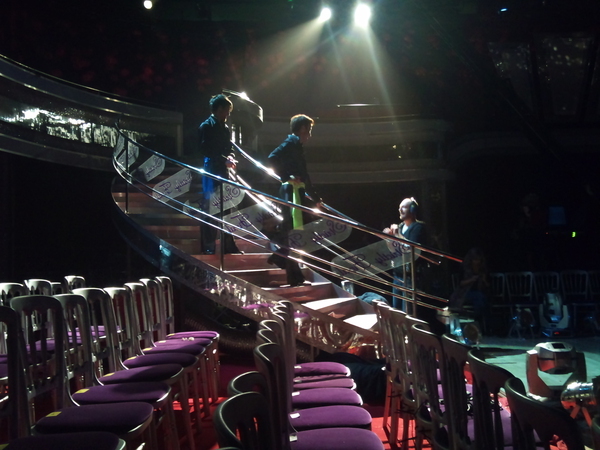 Here's some exclusive pics we took backstage this afternoon during the dress rehearsals for the Strictly Come Dancing Grand Final! Enjoy! 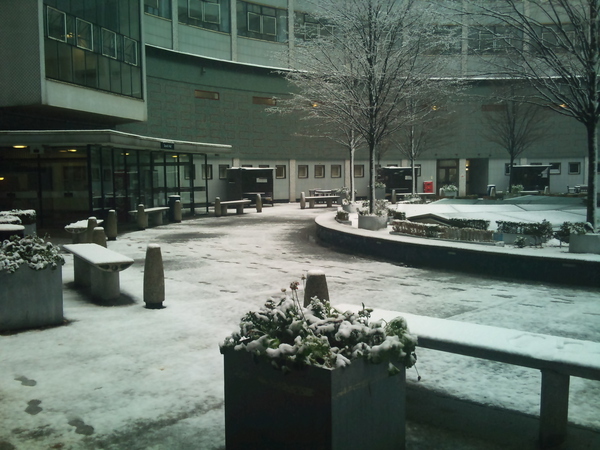 A snowy BBC TV Centre! Strictly In Step - our celebrity gameshow! They've spent the last four months in each others' pockets, learning how to stun us with beautiful dance moves. But how much do our couples REALLY know about each other? We decided to find out, by challenging the finalists to take part in our gameshow STRICTLY IN STEP! Scott Maslen and Gavin Henson became the tenth and eleventh celebrity dancers to leave this year's competition, ending their Strictly journey just one week before the grand final. Tonight's double elimination saw the boys and their professional partners leave by a combination of the judges' scores and the public vote. The Strictly web team were on the dancefloor when the announcement was made, and caught up with a host of Strictly faces for their reactions to the news. Watch our exclusive video here and let us know your thoughts on tonight's results by leaving a comment below. This weekend's two Strictly Semi Final shows saw our famous five take to the floor with a total of three dances. Kara and Artem's Viennese Waltz topped the judges' scoreboard on Friday night, with Pamela and James once again getting perfect scores for their Quickstep last night. 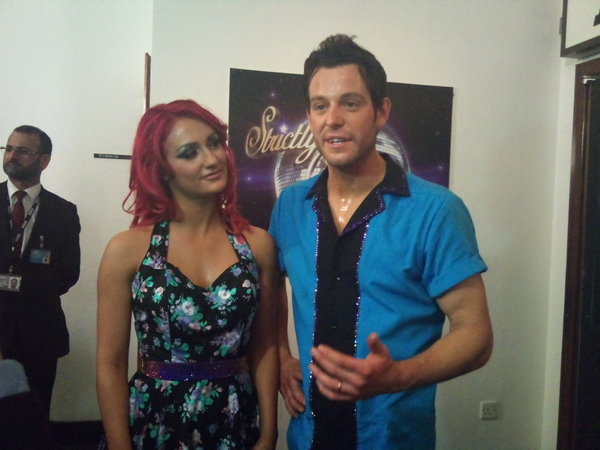 Gavin and Katya had the lowest scoring dances on both nights, with both their Viennese Waltz and and their Samba failing to impress the judges. In tonight's double elimination we learn who the tenth and eleventh couple leaving the contest will be. With the glitterball trophy in sight, have your favourites done enough to secure themselves a spot in next week's grand final? Tonight's show also sees the return of the Strictly Showdancers with a hot blooded group dance, and a special performance from our Brucie. Have your say on all of tonight's action by leaving a comment below. So here we are - our second semi-final spectacular of the weekend. After last night's show, our celebrities have one more chance to secure themselves a place in next week's grand final. Tonight you'll get to see our famous five perform either a Charleston, Quickstep, Tango, Rumba or a Vienesse Waltz. With a double elimination looming, everyone is feeling the pressure. How will your favourites fare? If you're watching the live show, why not leave a comment below and share your thoughts with the rest of the nation. 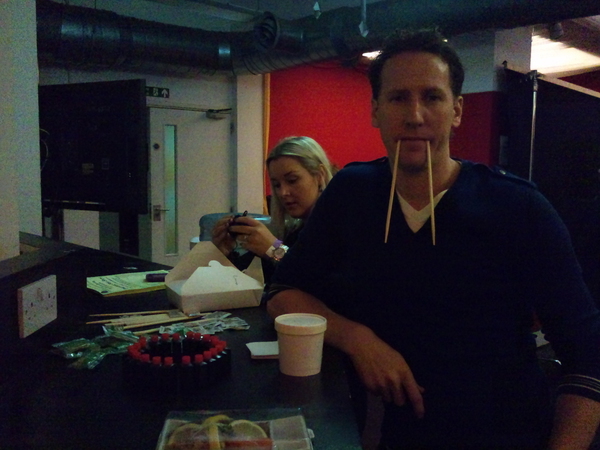 Here are our exclusive backstage pictures from tonight's second semi-final show. Enjoy! It's about as serious as Strictly Come Dancing gets this weekend - we're at the semi-finals and our five fabulous final couples have been working their little socks off for MONTHS now. Nobody wants to fall at the final hurdle - but the sad truth is that TWO COUPLES will leave the dancefloor after this weekend's shows. However, before we get to that horrible double elimination on Sunday, we've got two exciting LIVE semi-finals for you to enjoy. We're back on Saturday at 6pm as usual, but tonight we kick the whole Strictly Weekend off with an hour of live excitement from 9pm to 10pm. Our couples will each perform one dance as per usual, then they'll take part in the endurance marathon Swing-A-Thon! If you're watching the live show, why don't you leave your comments below and share your thoughts with the country?! Hey everyone! Can you believe that we're almost at the end of Strictly Come Dancing 2010? It doesn't feel like 11 weeks since our first live show, back on Friday 1st October, does it? We'll be here all weekend, taking you through the thrilling weekend of Strictly thrills and spills. We're starting off with our regular gallery of backstage photos from this evening's dress rehearsal. Enjoy! Gavin: "I couldn't have danced it any better." Kara: "A 10 from Len! That is just incredible!" Matt: "We'll really have to pull it out of the bag with the Tango..."
Pamela: "I really hope I've done enough to make it through to the final!" Scott: "I didn't quite nail it as I should have. 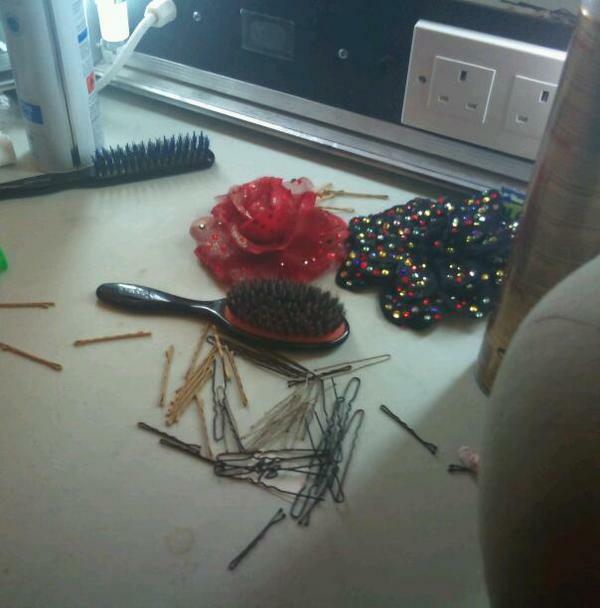 I'm a bit gutted to be honest." We're hurtling towards the thrilling climax to this year's Strictly Come Dancing - in fact, there are only TWO weekends left until we discover who will succeed Chris Hollins and Ola Jordan as the next Strictly Come Dancing champions. Just to make sure you don't miss any of the excitement, here's all of the details you'll need to know about WHEN you need to be watching! This year, Strictly Come Dancing's Semi-Finals will take place over a scintillating THREE nights. The thrills kick off this Friday night at 9pm on BBC One with our first LIVE semi-final show. Firstly, all of our five remaining couples will perform a dance as per normal, and will be marked in the usual way by the judges. Then, all five couples will take to the floor at the same time to perform in a group "Swing-a-Thon". 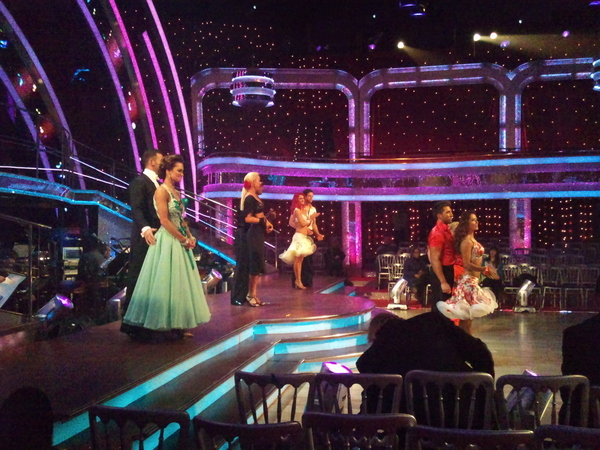 During the Swing-A-Thon dance, the judges will confer and Head Judge Len Goodman will eliminate one couple at a time. If the judges cannot agree the order the couples are eliminated then Head Judge Len will have the final say. When a couple is eliminated they will leave the floor but the remaining couples will keep dancing until only one couple is left. The first to be eliminated will score 1, the second couple eliminated will score 2, the third couple 3, and the fourth couple eliminated score 4. The last couple still dancing will receive the maximum score of 5. These scores will be added to that night's leader board and carried over to the next night. We all return to the dancefloor for a second LIVE night of dancing on Saturday 11th Dec, from 6pm to 7pm. Each couple will then perform a THIRD dance and be marked by the judges. All three judges' scores will be added together to produce a final leaderboard - after which, phone lines will open and YOU will be able to vote for your favourite couples. The results of that public vote will be revealed in our Results Show on Sunday night at 7pm (NOTE the slightly EARLIER time than usual!) - a very special show that will also feature a performance by Take That! Sadly, at the end of the Results Show, we'll say farewell to TWO COUPLES, leaving THREE couples to compete in the Grand Final. After months of hard work and training, our three surviving couples will come together to perform for the prestigious Glitterball Trophy in the Grand Final of Strictly Come Dancing 2010 on Saturday 18th December. There will be two LIVE shows on Saturday 18th - first from 7pm to 8pm, and then later in the evening from 9.05pm to 10.05pm, when the eventual champions will be revealed. But the Grand Final isn't the last you'll hear from Strictly Come Dancing this year - there's the festive glitter of our spectacular Christmas Special to look forward to! 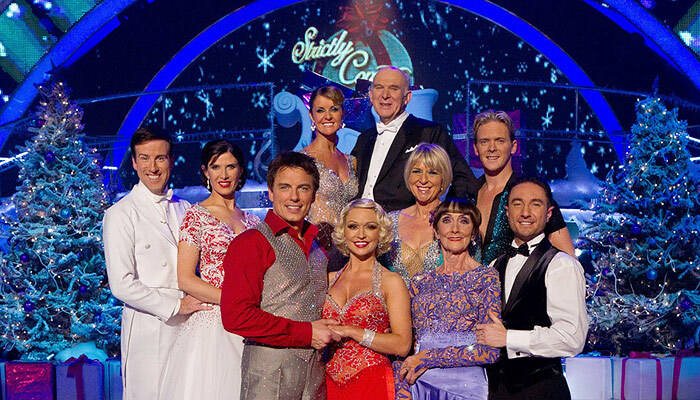 Five brand new celebrities - TV presenter Fern Britton, EastEnders' Dot Cotton - actress June Brown, the Rt Hon Vince Cable MP, Comedienne Ronni Ancona and actor/entertainer John Barrowman - will take to the floor in a seasonal display of spectacular dancing - and they'll be joined by some of the most popular couples from Strictly 2010 too! You can catch this special show on Christmas Day at 7pm, right after the Doctor Who Christmas Special on BBC One. 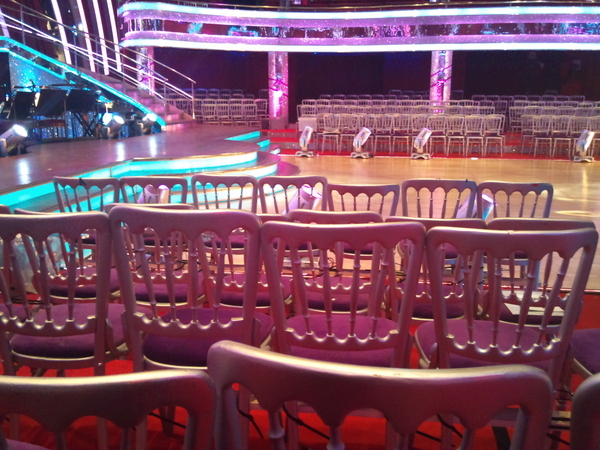 Don't miss a second of this year's Strictly Come Dancing Semi-Finals and Grand Final. But if you do, don't forget you can catch up with BBC iPlayer. And don't miss Claudia Winkleman on It Takes Two every weekday evening at 6.30pm on BBC Two! And don't forget to keep visiting the BBC Strictly Come Dancing Website either - we'll be bringing you lots of exclusive behind-the-scenes treats and surprises over the next two weekends, including a very special web-exclusive gameshow featuring our five remaining couples! 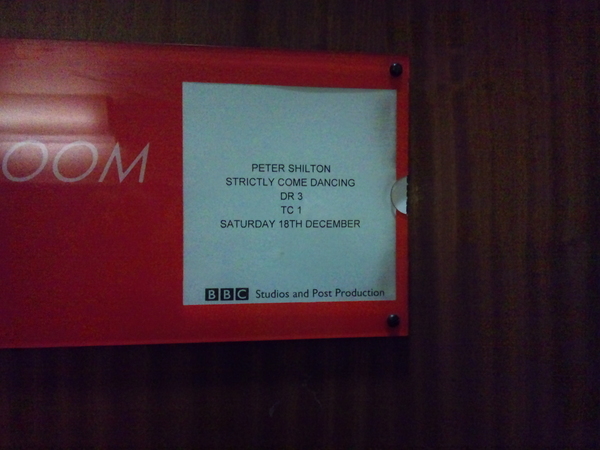 Visit us regularly at www.bbc.co.uk/strictly ! 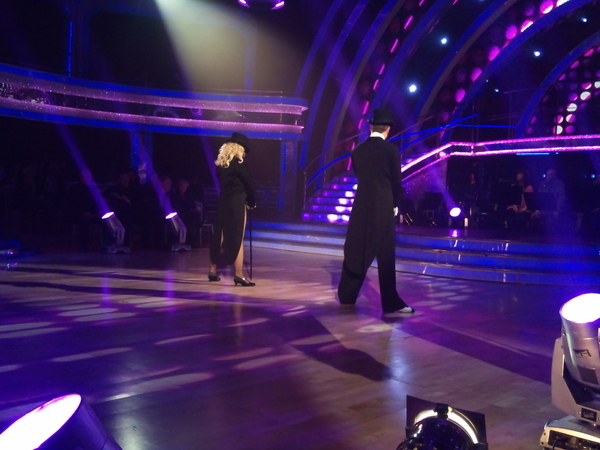 Ann Widdecombe and Anton du Beke became the ninth couple to leave this year's competition, ending their Strictly journey just two weeks before the grand final. The couple performed an American Smooth last night and were eliminated from the competition by a combination of the judges' scores and the public vote. Last night Strictly's Movie Special saw our remaining six couples take to the floor with a variety of dance styles, inspired by some of Hollywood's greatest hits. Pamela and James got the first perfect score of the series with their mesmerising Viennese Waltz, while Ann and Anton's American Smooth failed to impress the judges, leaving them once again at the bottom of the leaderboard. Tonight we learn who the ninth couple leaving the contest will be. With the glitterball trophy in sight, have your favourites done enough to secure themselves a spot in next week's semi-final? We also have a musical performance from the Manic Street Preachers, the return of the Show Dancers with an Abba-solutely fabulous medley, and Erin and Anton take to the floor with a sensational American Smooth. Tonight is our movie special - and you've got the best seats in the house! Our six remaining couples are each performing a different dance style, so you'll see a Paso Doble, Viennese Waltz, Jive, Foxtrot, Tango and an American Smooth, each set to classic a song from Hollywood history. With only two weeks to go to the grand final, who will deliver an award-winning performance and who will fail to impress the critics? If you're watching the show, why not let us know what you think about all of tonight's action by leaving a comment below. It's our movie special tonight and we've been backstage to get these exclusive pictures from the dress rehearsal. So Craig Revel Horwood thinks we've "finally had some passion" on the series! Our couples' sizzling dances have ignited the judges' imagination. As Len Goodman remarked, "we've seen a bit of a spark. Tonight; a fire!" Which is just what we all need during this ice cold December! But what does it take to inject a bit of romance into a performance? Is it in the eyes? The hips? And what must our remaining couples do in order to portray more passion than Nigella in a sausage shop? We caught up with our much loved Strictly Show Dancers to find out how the pros ensure their performance is more ‘seductive’ than ‘sedative’. So what do you think are the ingredients of a romantic and passionate performance? And which couple do you think creates the most heat? Need help deciding? You can still watch the likes of Matt Baker, Scott Maslen, Ann Widdecombe, Gavin Henson, Pamela Stephenson and Kara Tointon in our Live Show Highlights section of the website. We've just had some very exciting news through from the Strictly Come Dancing production office, detailing exactly how next weekend's Semi-Finals will work. As you probably already know, this year's Strictly Semi-Final consists of THREE shows - yes, that's right THREE shows! Firstly, the couples will perform LIVE on the evening of Friday 10th December in our first semi-final, from 9pm to 10pm on BBC One. 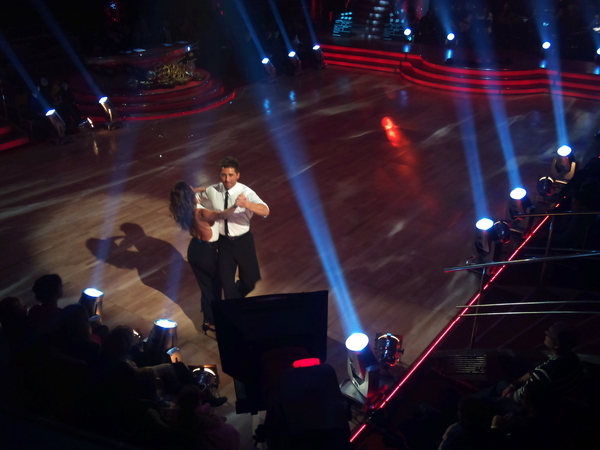 During the live Friday show, the couples will perform a regular dance and be marked by the judges in the usual way. Then after all of the couples have danced, they will all take to the floor at the same time and compete in an exciting SWING-A-THON! In our semi final weekend we will include a brand new dance challenge, the 'Swing-A-Thon'! The idea behind this is to give our couples a chance to gain some extra marks, by directly competing against each other on the dance floor. All our remaining couples will take to the floor and the music will start. During the Swing dance, the judges will confer and Head Judge Len Goodman will eliminate one couple at a time. When a couple is eliminated they will leave the floor but the remaining couples will keep dancing until only one couple is left. The first to be eliminated will score 1, the second couple eliminated will score 2, the third couple 3, and the fourth couple eliminated score 4. The last couple still dancing will receive the maximum score of 5. These scores will be added to that night's leader board and carried over to the next night. If the judges cannot agree the order the couples are eliminated then Head Judge Len will have the final say. The Swing-A-Thon is the ultimate test of style and stamina for our celebrities! The couples will then perform AGAIN in our second LIVE show, on Saturday 11 December from 6pm-7pm on BBC One. The three sets of scores from the judges will then be combined to create a leader board and the public will be able to vote for their favourite couple in the usual way at the end of Saturday night. The couple with the lowest combined scores will be eliminated in a results programme shown on Sunday 12th December - at the EARLIER time of 7pm to 7.30pm. If there are still five couples left in the competition at the Semi Final stage there will be a double elimination with the bottom two couples eliminated as only a maximum of three couples will be able to go through to the Final. There will be no dance off. So that's three nights of scintillating dancefloor action coming your way VERY soon!